Give the gift of life this December. 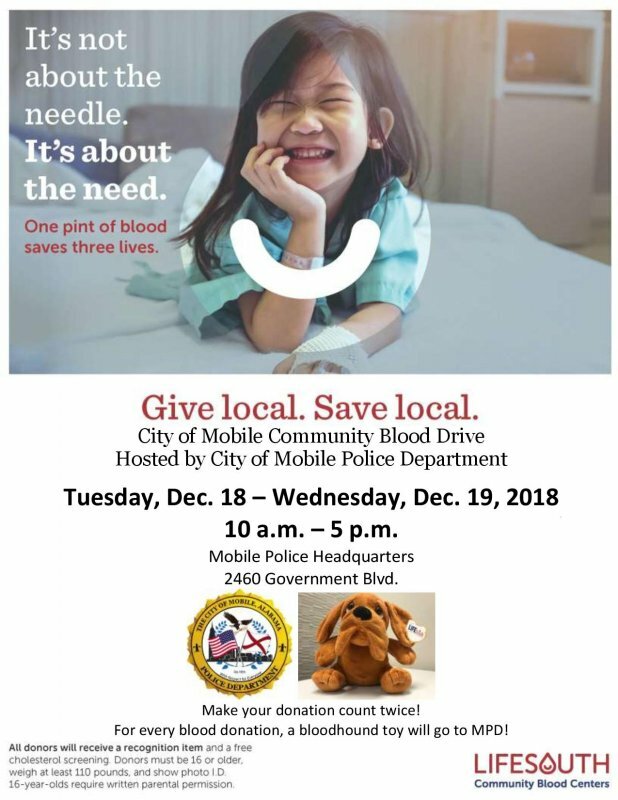 A LifeSouth Community Blood Drive will be held at police headquarters December 18 and 19 from 10 a.m. to 5 p.m.
For every blood donation, a Beau bloodhound toy will go to the Mobile Police Department for officers to use when helping to comfort children involved in potentially traumatic situations. All donors will receive a recognition item and a free cholesterol screening. Donors must be 16 years of age or older and weigh at least 110 pounds. Donors must also present a photo ID. The Mobile Police Department headquarters is located at 2460 Government Blvd.